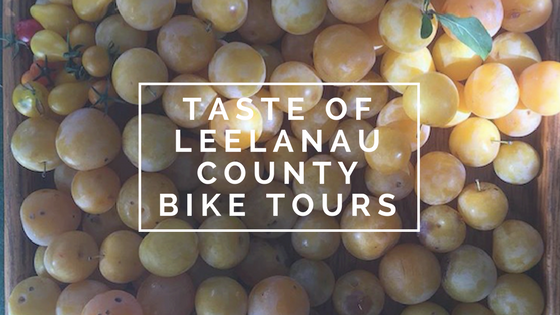 The Taste of Leelanau County Bike Tours is a partnership effort between Bike Leelanau and a number of agriculture based small businesses that all share a common interest in supporting conservation and land preservation through agritourism. Through the bike tour series we hope to share insight into how agritourism developed in Leelanau County around orchard and vineyard production, and has expanded to include a growing number of small-scale, independent, and ecologically minded owner-operated enterprises. For Leelanau County, Farm to Table eating and living has always been a way of life and source of regional pride, even as the concept has caught on in recent years in more urban and metropolitan areas. We believe that agritourism is an ideal partner for the local biking community, as they each promote a desire to showcase the beauty and bounty of Leelanau County in a low-impact, ecologically minded way. We believe that together, agritourism and bike tourism can sustain a year-round level of activity and adventure in Leelanau County! Our first ride this summer will be Gardens, Farms and Forests Edible Bike Tour which is family friendly, all abilities welcome, fee by donation, and explores the unique cultivated landscape just off the multi-use Leelanau Trail. The Taste of Leelanau County Bike Tours are educational, experience driven, and community minded. Anyone interested in partnering on a future tour should contact Bike Leelanau, as plans are still in the works for a fall Harvest tour.